The approximately 2,000 items in the Quisquilia category—Latin for “odds and ends, miscellany”—are interesting above all in terms of general cultural history. They consist largely in private memorabilia of famous artists and actors from the Austrian theatre and cultural landscapes, and they bare witness to a positively cultic enthusiasm for the theatre and its stars during the 19th and the 20th centuries. The Quisquilia come first and foremost from legacies and range from pieces of furniture to small everyday, utilitarian items such as makeup cases, from cultic objects like death-masks to miniature versions of famous actors and actresses in porcelain and ceramics. These objects are witnesses to the societal importance of the Viennese theatres and the popularity of their artists. Above all, the legacies of author Hermann Bahr (1863–1934) and his wife Anna Bahr-Mildenburg (1872–1947), world-famous in her day as a singer, contain a large number of historico-culturally significant, valuable documents from their former owners’ era. The fast-advancing industrialization of the 19th century went hand-in-hand with the rise of the bourgeois as an increasingly wealthy and influential social class. Absolutism, which had returned in full-force all over Europe since the Congress of Vienna (1815), did not permit participation in the political decision-making process, but all areas of the cultural realm were influenced most greatly by the bourgeois class. The theatrical and musical worlds of that time, as well, experienced the dominance of a bourgeois culture that was fond of bringing its heroes into their private home—making a death-mask of Beethoven a not-uncommon sight in bourgeois living rooms. New, increasingly advanced manufacturing processes allowed the mass production of countless bric-a-brac figurines and other objects portraying artists who were the objects of idolatry. Around the turn of the century, these “devotional” items were finally being produced in large amounts, thus reflecting the onset of a new mass culture based on the virtually unrestrained admiration of stars, a culture that today still characterizes the relationship between “fans” and revered artists. Quisquilia say something about both the private personality of their former owner and about his or her cult status. This “cult of the self” ranged from the keeping one’s own locks of hair to the making of hand-prints. 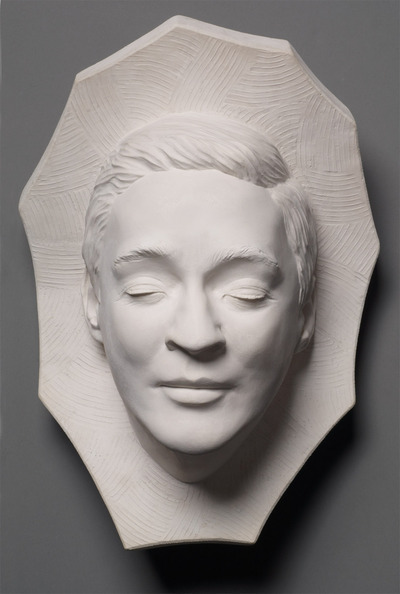 “Hero worship” is known to us even from the recent past: there exists a plaster mask of Oskar Werner which he himself had made. 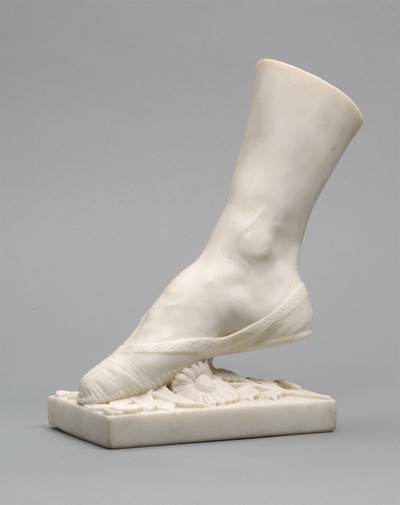 It is from the legacy of the Federal Theatre Museum—which was located in a side wing of the Vienna Burgtheater between 1932 and 1938—that we have the marble foot of the famous dancer Fanny Elsler. The mutual admiration among the court actors and actresses at the old Burgtheater is borne witness by objects such as the gilt laurel wreath of Adolf von Sonnenthal given to him by his colleagues on the fortieth anniversary of his first performance at the Burgtheater. After the Burgtheater on Michaelerplatz was torn down, there arose a new theatre-related cult: the commemoration of the old building. Everything not nailed down was collected as memorabilia and stored—right down to a stool from the audience area. This cult was also carried over to popular and folk theatre. An indication of this is provided by the extensive legacy of Hubert Marischka, actor, operetta director and—from 1923 to 1935—director of the Theater an der Wien. Among other things left to the Museum by him was the outside handle of the stage door from this building, which hosted its first public performance in 1801. Above all, however, he was passionate about the favourites of the “Vorstadt”—Vienna’s working-class outer districts. 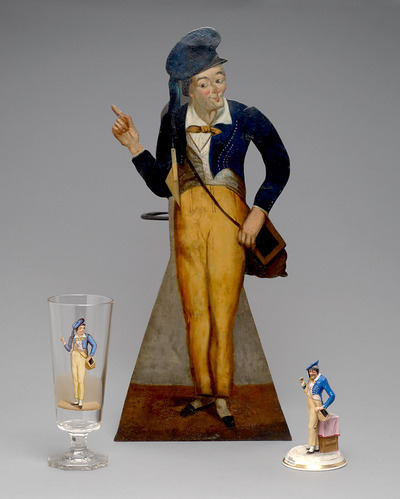 He collected utilitarian objects on which the actors and actresses are depicted in their most popular roles, such as a cylinder cup with a picture of Ferdinand Raimund as the Aschenmann from his fairytale play Der Bauer als Millionär, or an umbrella stand on which Johann Nestroy is pictured as Willibald from his play, Die schlimmen Buben in der Schule. 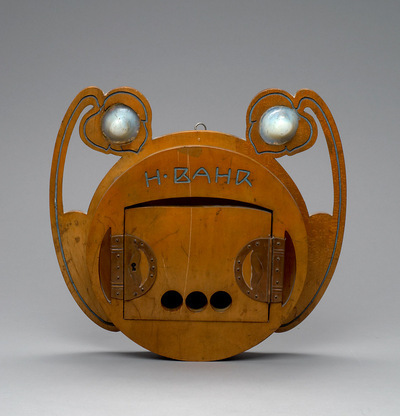 Heirs, as well, often donated to the museum decorative individual objects from the personal estates of the actors and actresses, an example of which would be the makeup case of popular-theatre actress Pepi Kramer-Glöckner, a well-known figure during the interwar period. 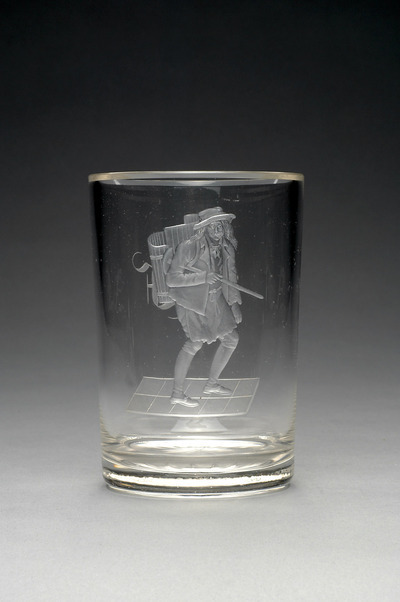 Schirmständer: Johann Nestroy (1801-1862) als "Willibald"